Grace + Tom.....two of the sweetest! Grace's smile always makes ME smile + it's obvious her stunning smile captivates her husband! 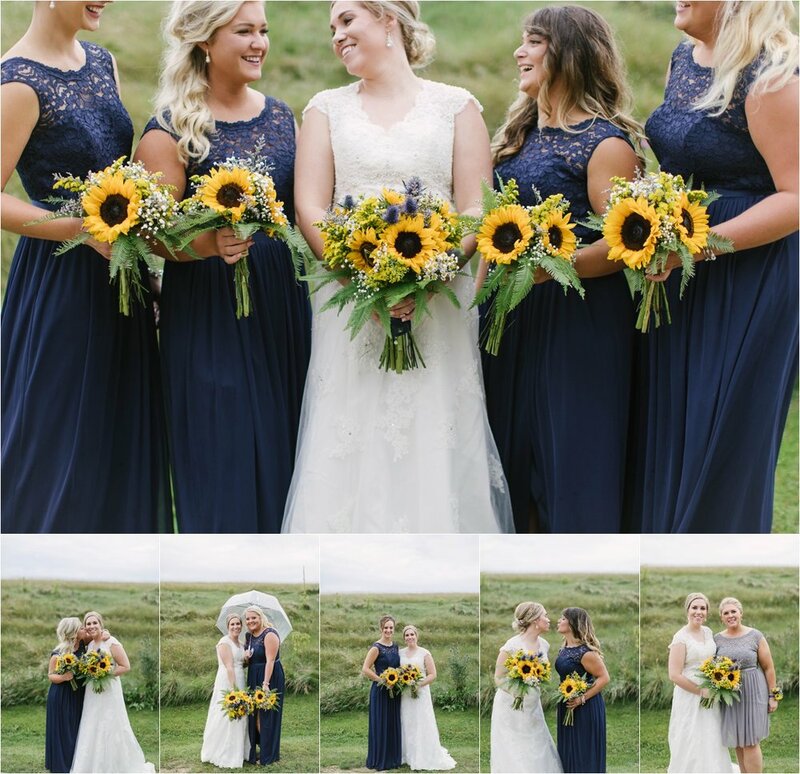 Not only is Grace full of light and joy....so were her bridesmaids + personal attendant. You'll see what I'm talking about with the captivating smile below..... Tom's groomsmen were too funny + I enjoyed getting them to giggle it up in their photos, too! I think the guys rewarded themselves with a few beers for being so awesome to work with ;) Grace's exuberant enthusiasm and Tom's quiet charm are thee perfect combination. They said their vows inside the golf course, as the rain tapped away on the windows- making their marriage "knot" just a little stronger. Rain on your wedding day= good luck! You may not be able to tell it, but we dodged the rain showers waaaaayyy more than we'll care to admit. However, when outdoor photos are the bride's dream....she gets outdoor photos. It was SO worth it --just go see for yourself!